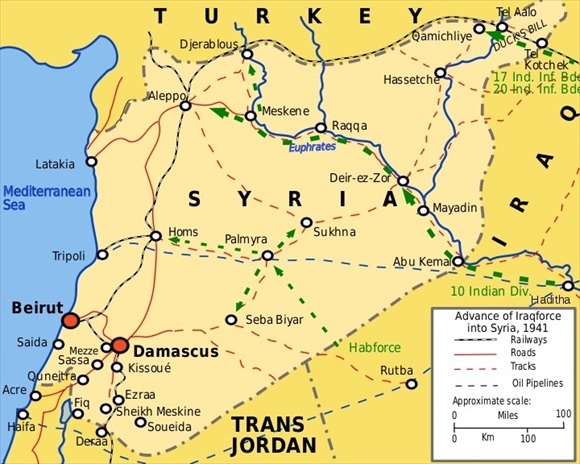 Opera­tion Ex­porter, the in­va­sion of Syria and Leba­non by British Com­mon­wealth and Free French in­fan­try, armored units, and air­craft, began on the morning of June 8, 1941. 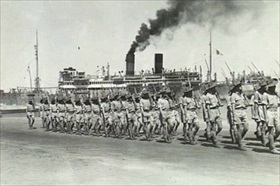 It followed on the heels of a 5,800-strong Com­mon­wealth march on Bagh­dad that im­posed a British-Iraqi armis­tice. Vichy French troops vigo­rously resisted British and Aus­tra­lian columns moving into Leba­non from Pales­tine, the latter a Brit­ish man­date under the League of Nations. Pres­sure there even­tually over­whelmed Vichy resis­tance and, when com­bined with the destruc­tion of Ger­man airbases in Syria by east­ward-driving Free French forces and a British-led advance on Damas­cus from Iraq, Gen. Dentz nego­ti­ated an armistice in Acre (in modern Israel) on this date, July 12, 1941. 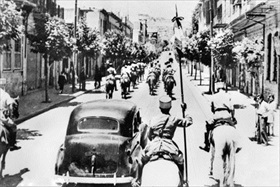 The armi­stice placed Syria under Gen. Charles de Gaulle, head of the Free French Army. Nearly 6,000 Vichy sol­diers switched sides. British Prime Minis­ter Winston Chur­chill’s dis­patch of troops to topple the pro-German mili­tary junta in Iraq and the Allied occu­pa­tion of Leba­non and Syria con­ferred three stra­te­gic benefits on the victors: it restored sta­bility in a cri­tical area of the Middle East, it foiled Ger­man attempts to gain con­trol or influ­ence over these states and neu­tral Iran (Per­sia), and it ensured a stable supply of Middle Eastern oil to the Allies. 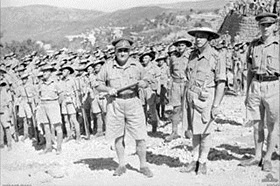 Right: Australian troops at the French Aleppo air­field, Syria, June 1941. 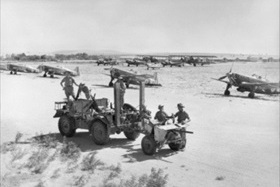 In the back­ground are Morane-Saulnier MS.406 fighters. The initial 5-to-1 ad­van­tage the Vichy French Air Force (Armée de l’Air de Vichy) enjoyed over the RAF and the Royal Aus­tra­lian Air Force quickly evap­o­rated. Most Vichy air­craft were destroyed on the ground. In all, Vichy forces lost 179 air­craft from about 289 that had been committed to defending French Syria and Lebanon.